Happy or bitter Sunday everyone! Lol I say bitter because seriously where did the weekend go? I blinked and it was over - gah! In any case at least i got the chance to play with my nails a little bit :). If you haven't seen it yet yesterday I posted a review for stamping plates from B. Loves Plates. You can check it out here. Today I created some nail art using both the Flower Power and the Mind Blow plate that was super easy and fun. When I was at the post office yesterday the lady at the desk stopped me to admire so I hope you guys will like it too! 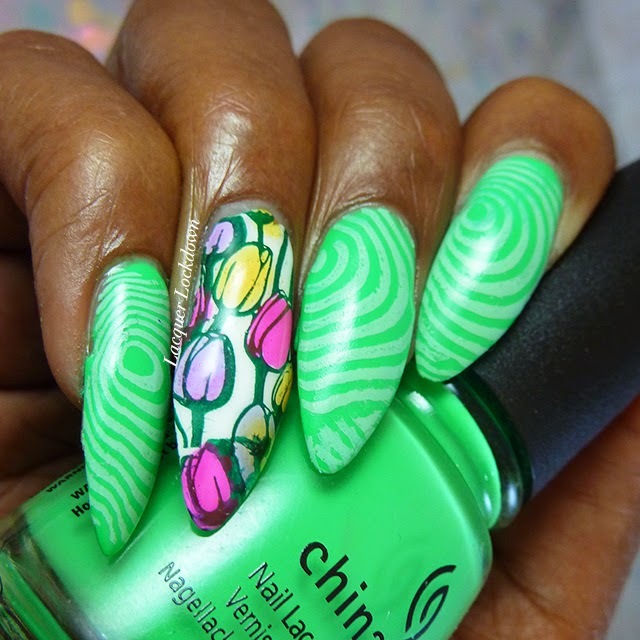 This is the kind of nail art I think about as very simple. Though I did have to stamp twice that is because my nails are long rather than from a need to create more complicated artwork. And not only was this was surprisingly simple it was also incredibly fast to create and another look that is perfect for the spring! I consider that winning all around. I am totally totally in love with these China Glaze Electric Nights polishes by the way! How vibrant and perfect this green is is insanity. 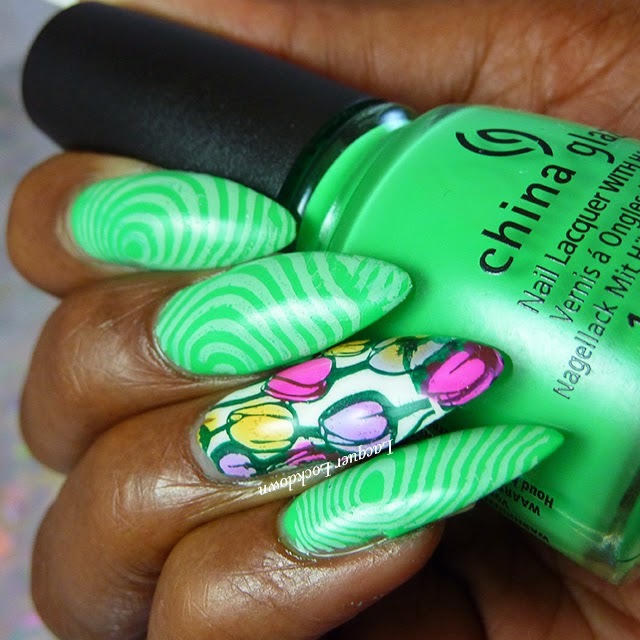 Ahem I also happened to create a tutorial for this nail art so you can check it out on Youtube. i haven't gotten the electric nights collex yet but when i do, treble maker may be my favorite. also i'm so jealous of your long nails. i'm broke and i'm impatiently waiting for them to grow back. Lovely, I always wondered how you got stamps to fit your nails. You're a pro cuz you can't even tell that you had to stamp twice! Lol thanks babe! Yes I will double stamp. It gets annoying though. I'm getting ready to cut my nails soon like this weekend so I won't have to bother about that anymore.